The Cupola pendant lamp with opaque diffuser of aluminium spreads the light directly from the top down on kitchen, conference and dining tables. 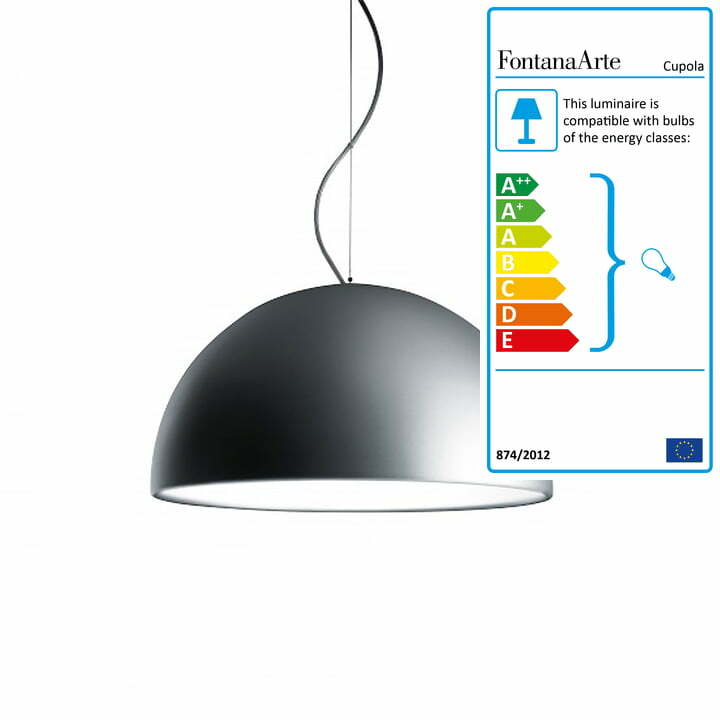 The Italian design based on a sketch of the year 1979 was re-edited with a transparent cable and a thin steel rope. The half-round lampshade of the Cupola pendant lamp (Eng. dome) is matt from the outside and white painted inside. The Cupola lamp appears timelessly with two diameters: 40 cm or 54 cm. 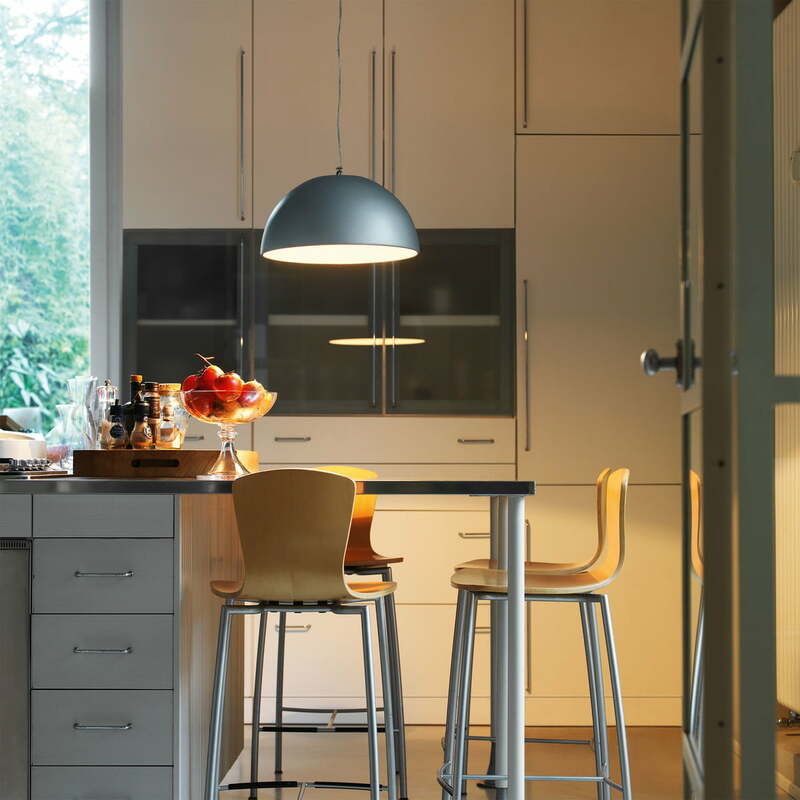 The pendant lamp can be shortened to the desired height because of the large cable of 2 metres. This is how the lamp fits in different rooms with low and high ceilings. 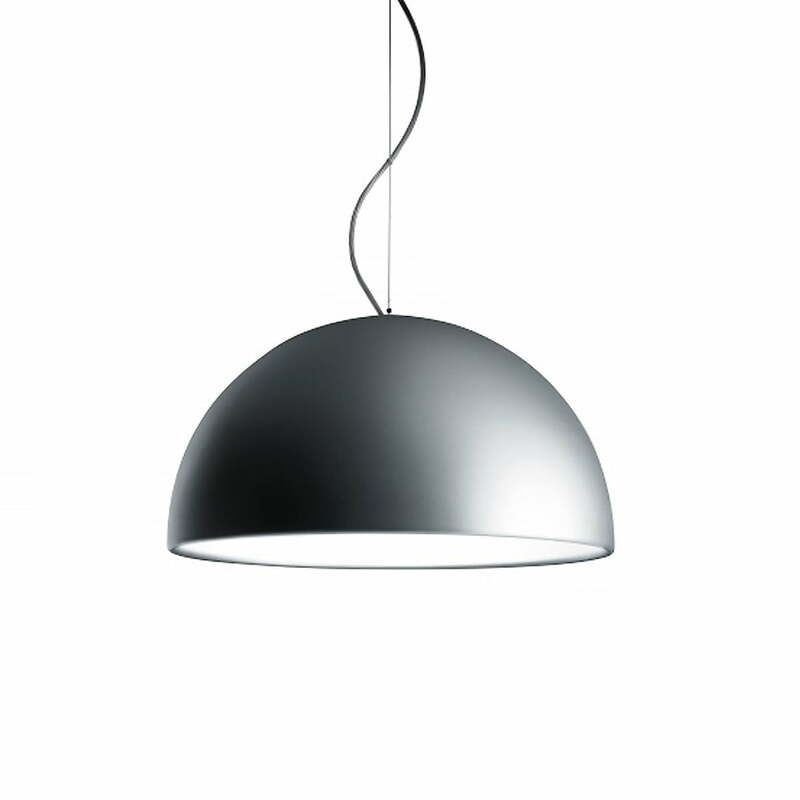 Single image of the Cupola pendant lamp Ø 40 cm by FontanaArte. The lamp is fixed with the thin steel rope, the cable is transparent. It is a lamp with timeless, withdrawing design. The Cupola pendant lamp by FontanaArte is suitable to be installed on top of dining tables or kitchen tables and it is adjustable regarding the height.